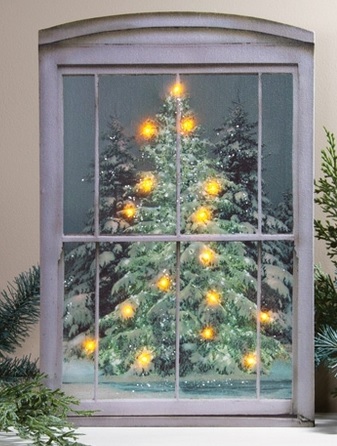 Holiday lights aren't just for the exterior of your home. 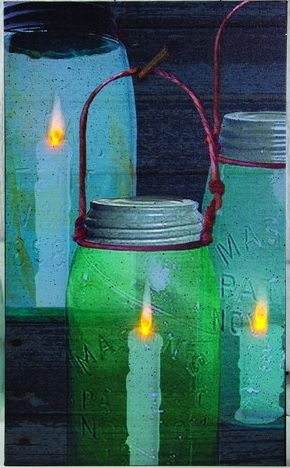 They can be used inside too - and to great effect. 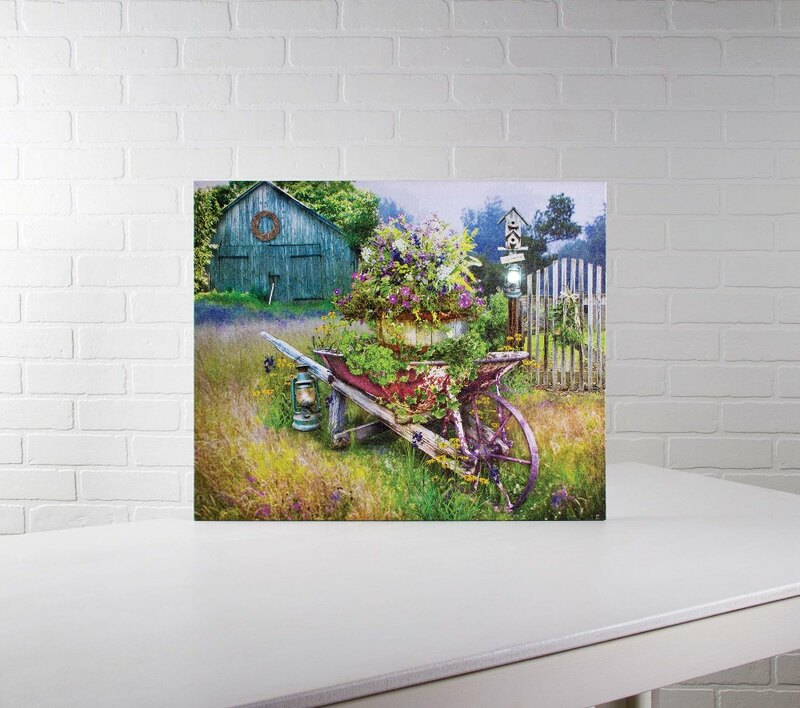 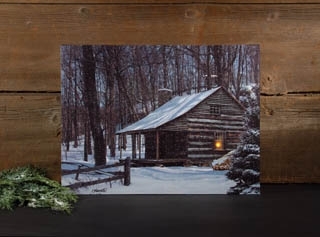 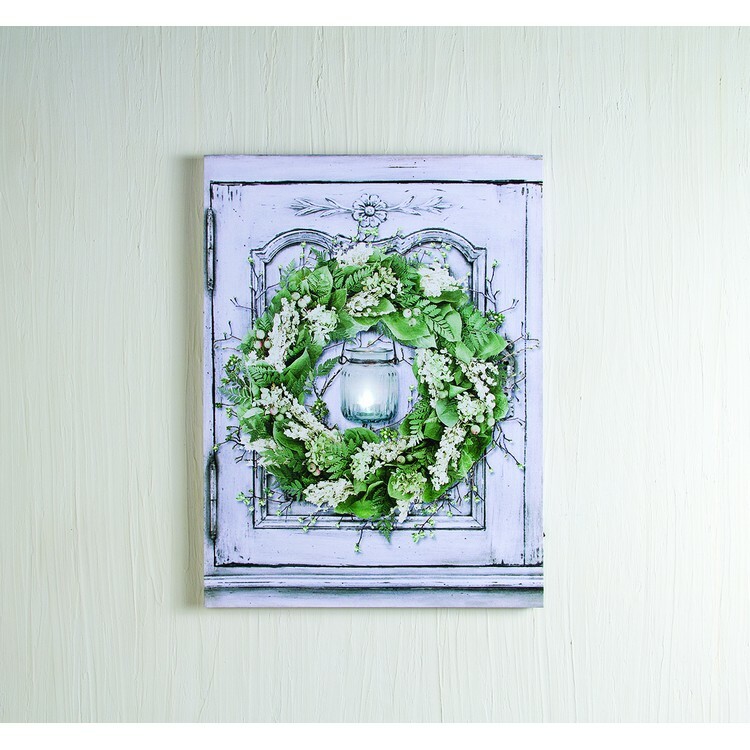 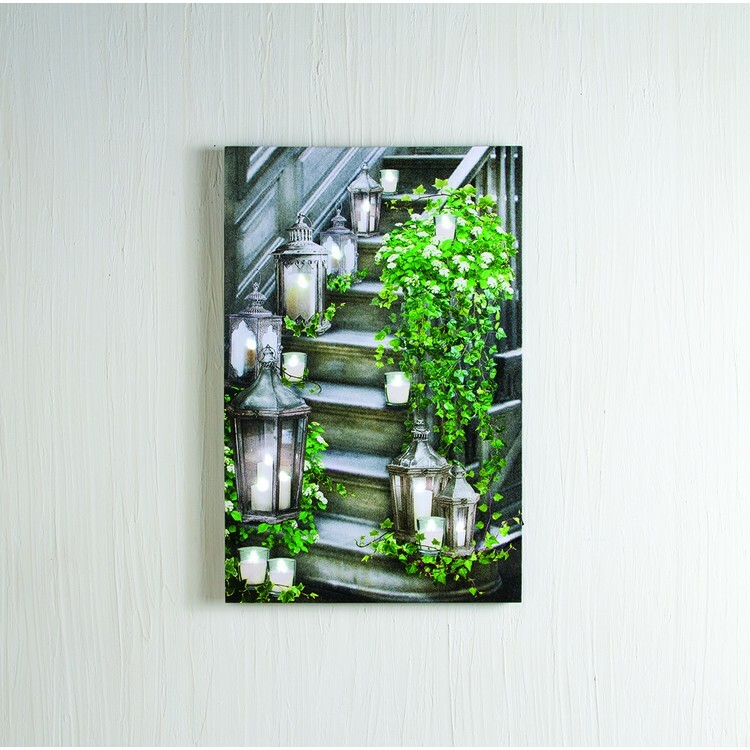 If you are looking for a creative and eye-catching way to light up your interior this holiday season (or any time of year), these lighted canvas pictures from our holiday supply team at Christmas Tree Hill may be the perfect solution for you. 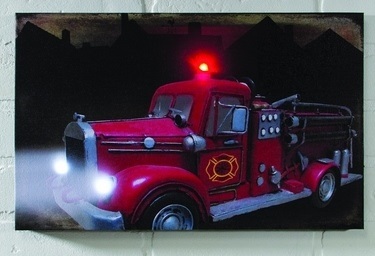 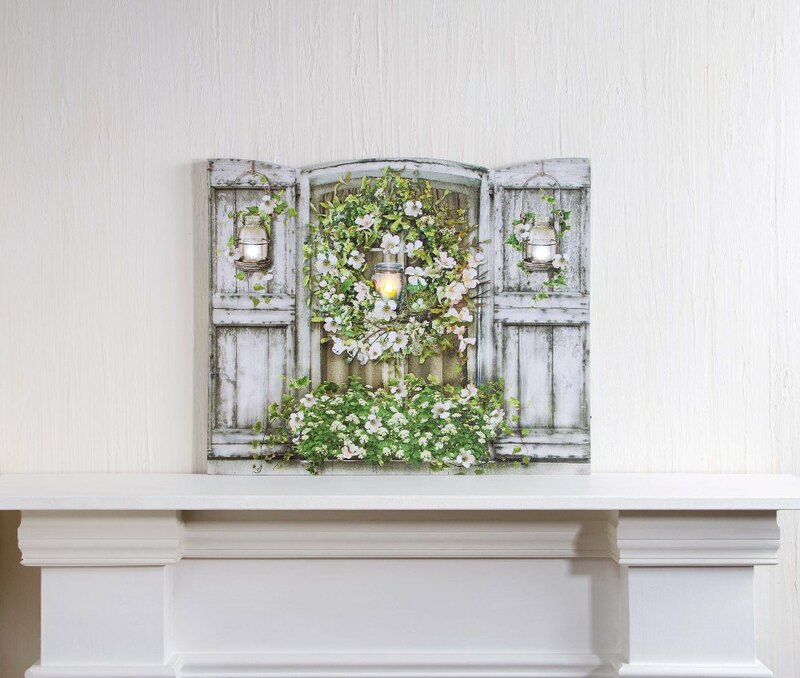 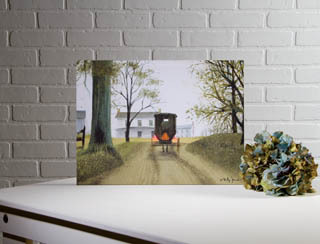 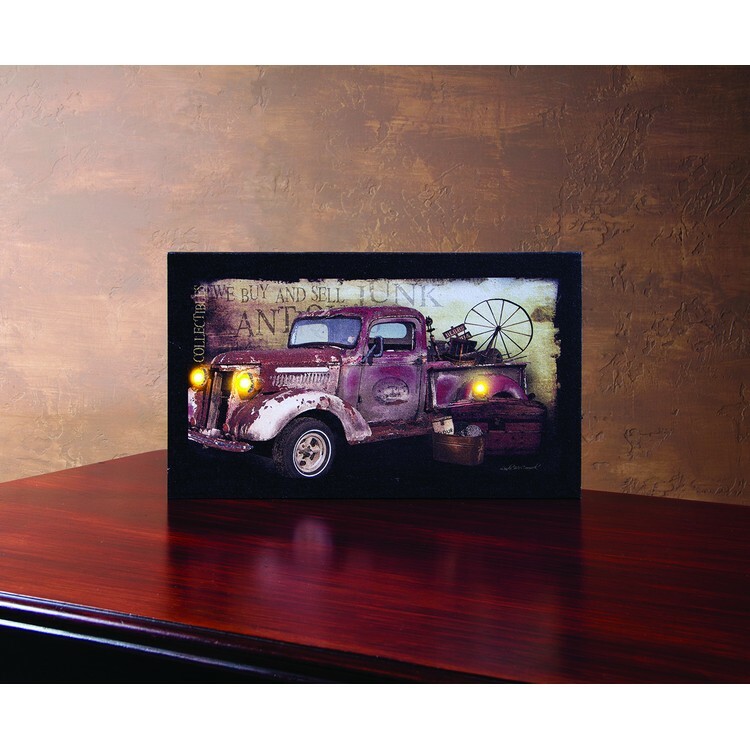 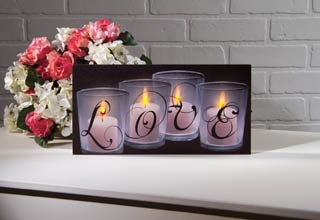 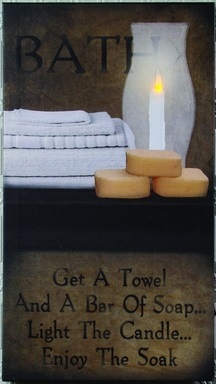 Battery operated and ready to set up right out of the box, these light up pictures are light any piece you'd hang on your wall or set on your mantle. 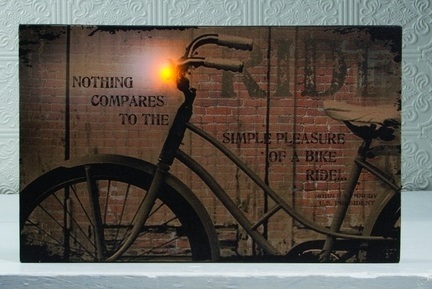 There's just one extra detail: they light up! 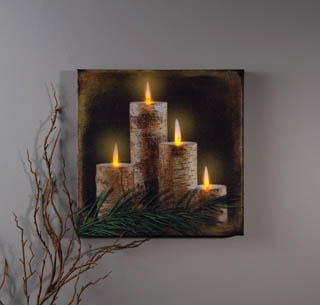 That's right - these tasteful pieces of holiday-themed art light up using small battery-powered lights to create a supercharged holiday effect that is truly breathtaking. 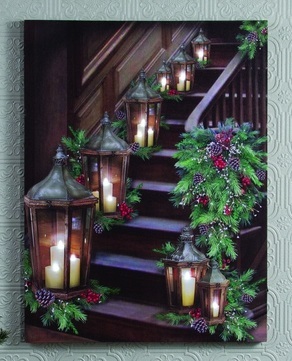 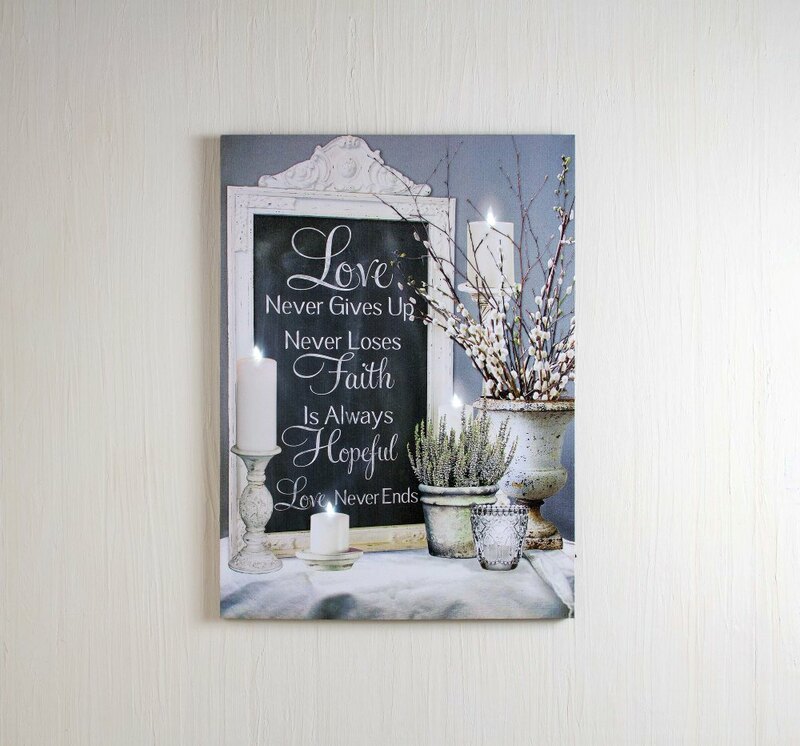 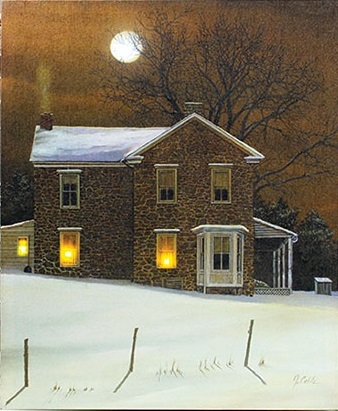 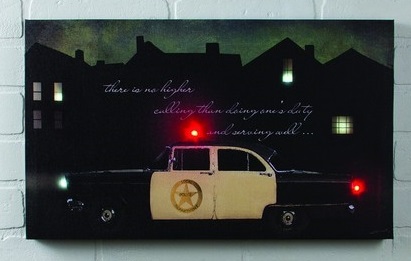 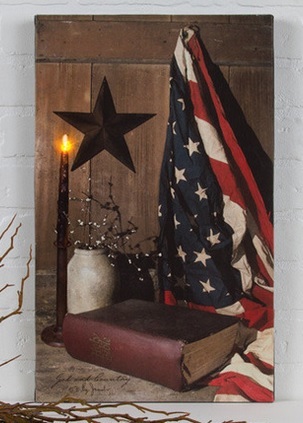 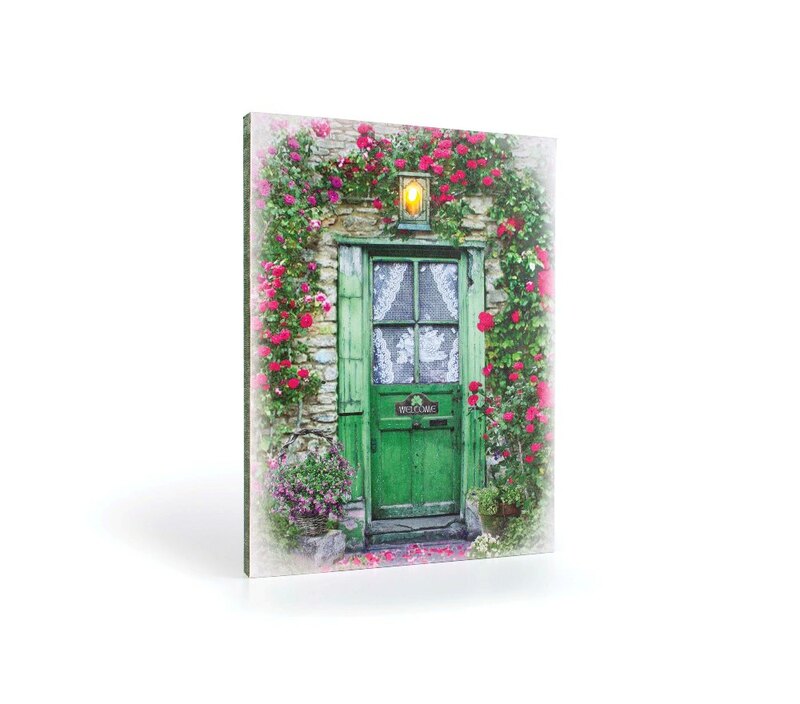 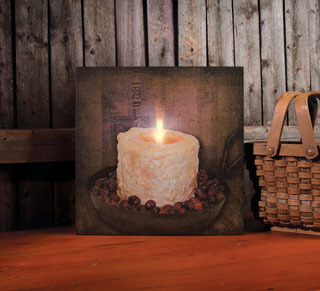 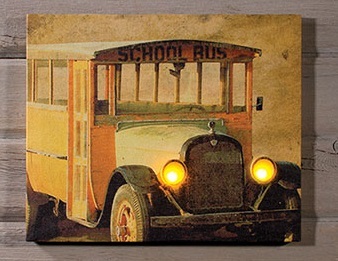 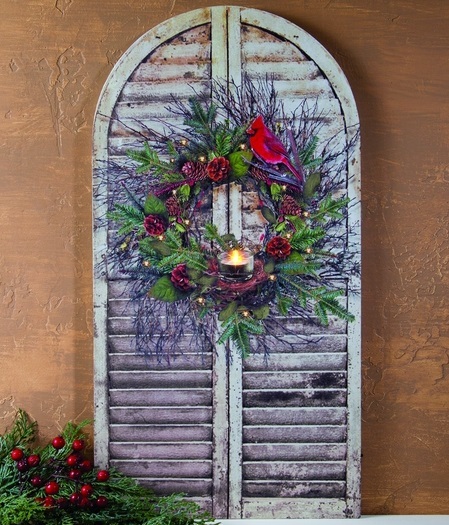 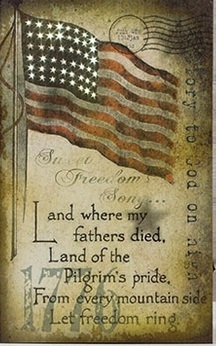 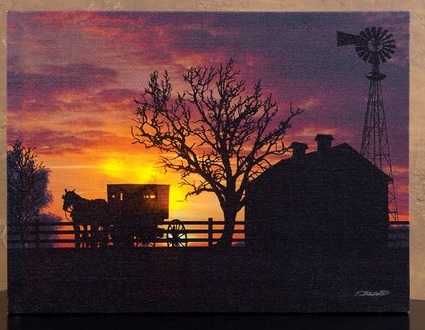 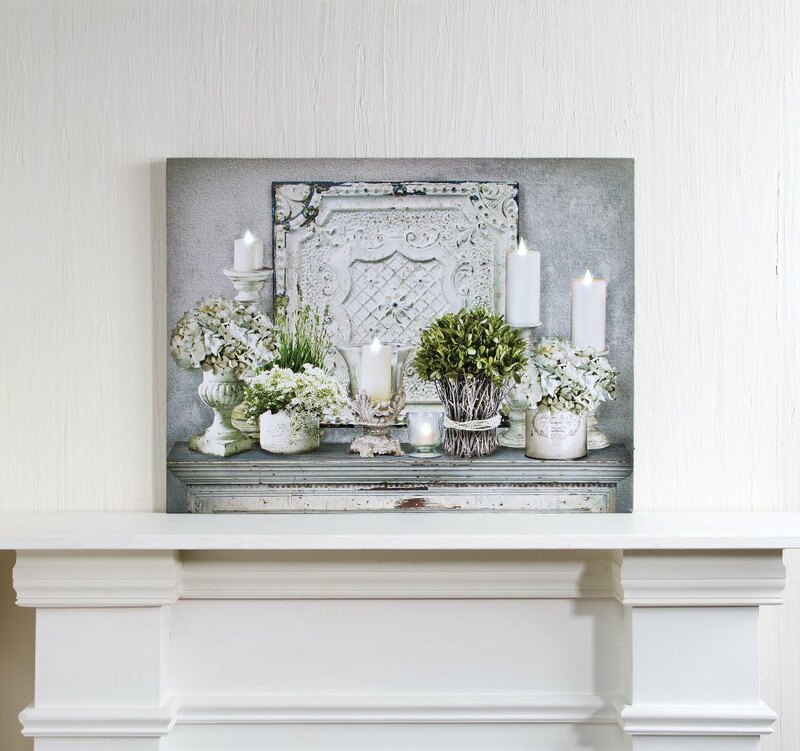 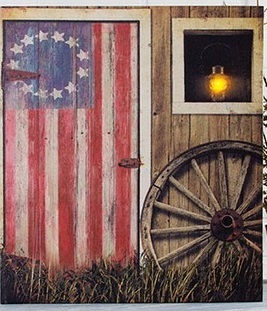 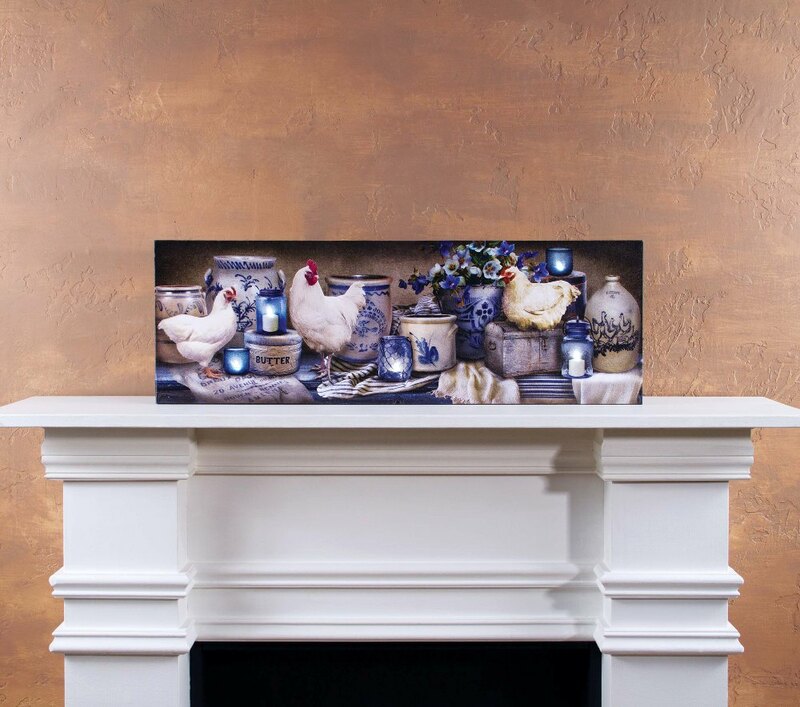 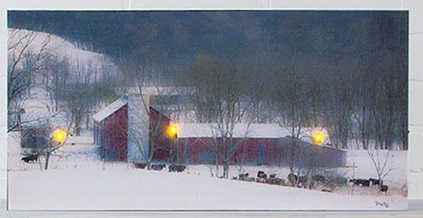 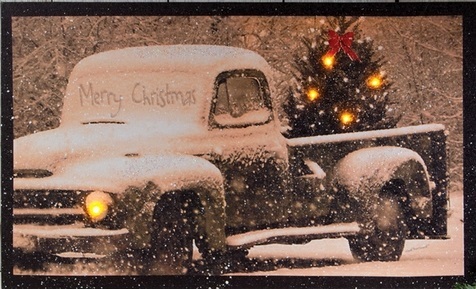 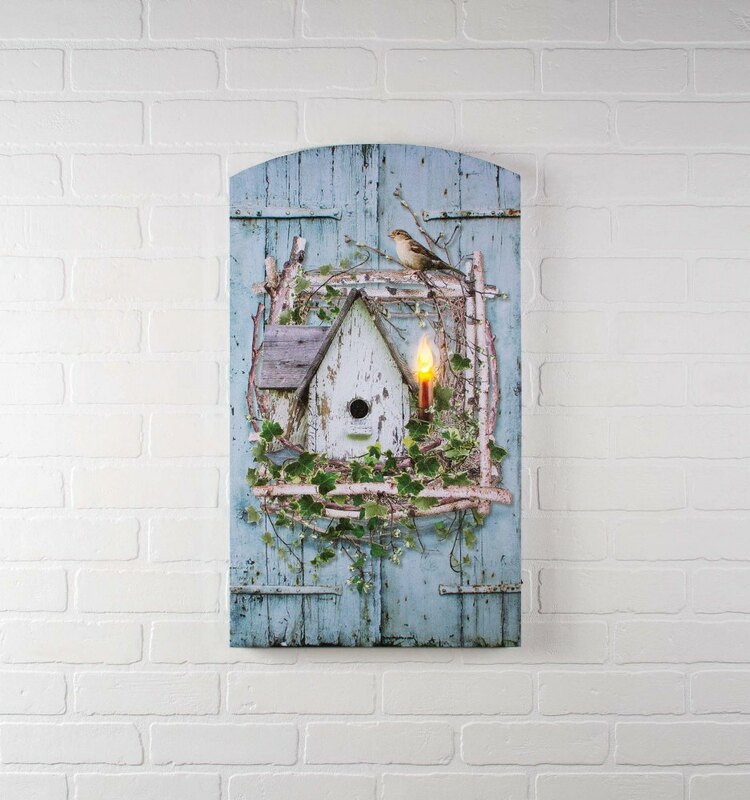 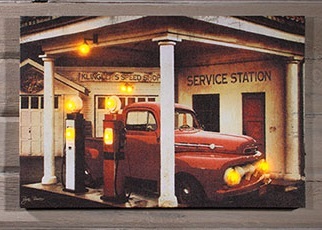 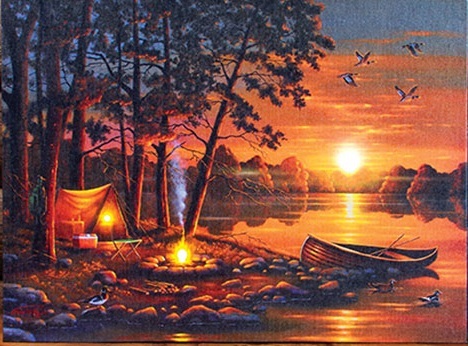 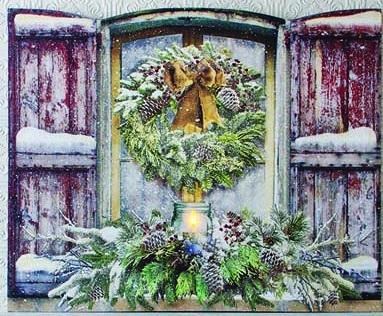 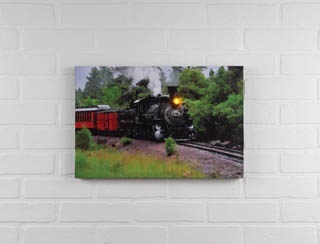 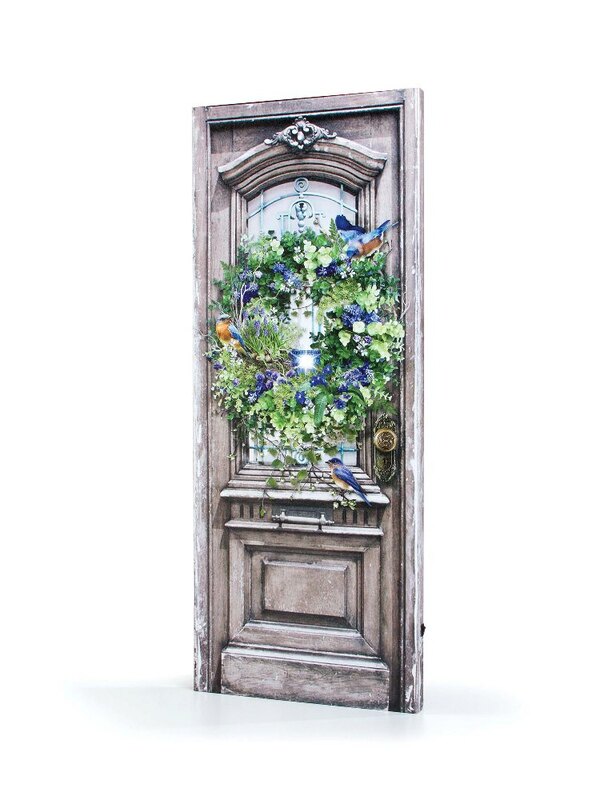 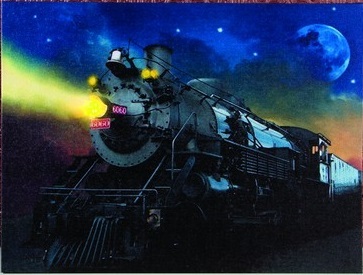 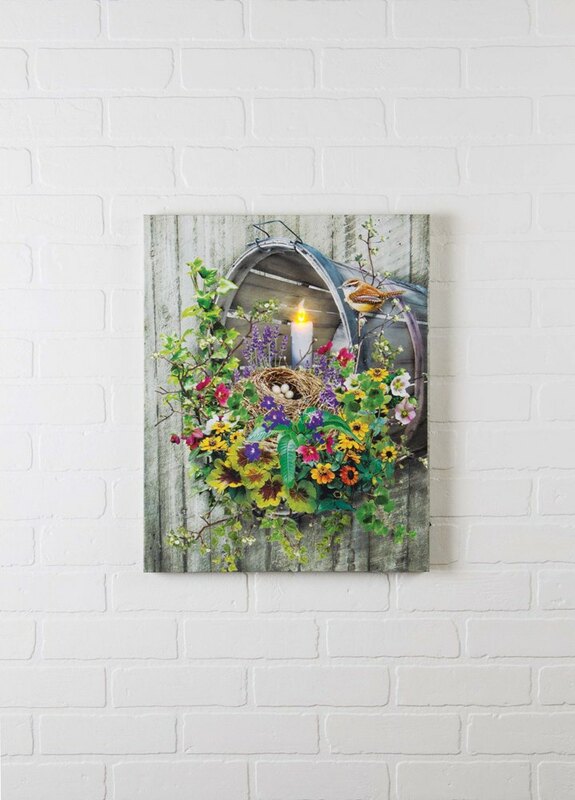 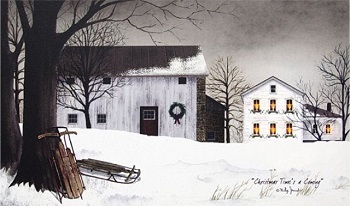 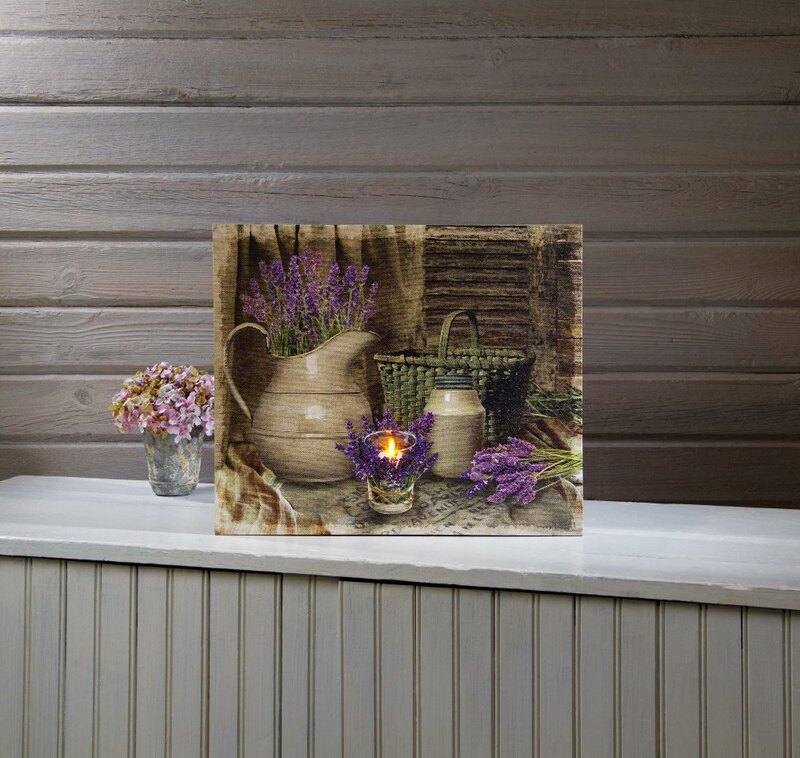 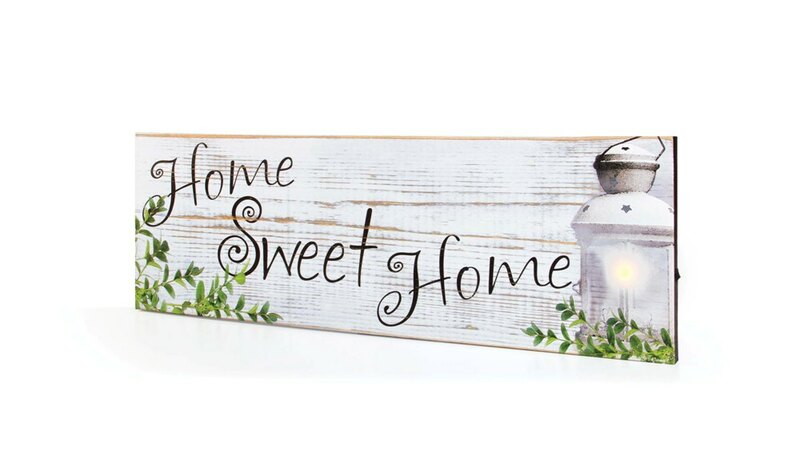 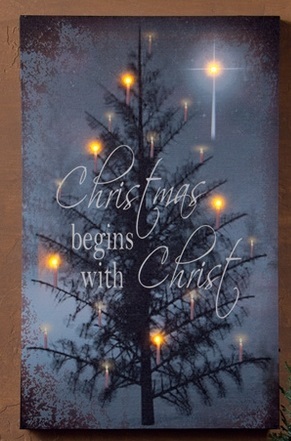 At Christmas Tree Hill, we proudly carry an extensive collection of lighted canvas pictures in holiday styles ranging from traditional to eclectic. 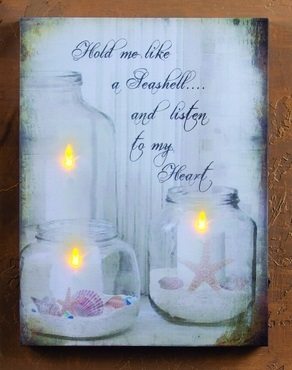 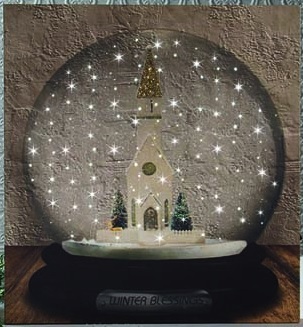 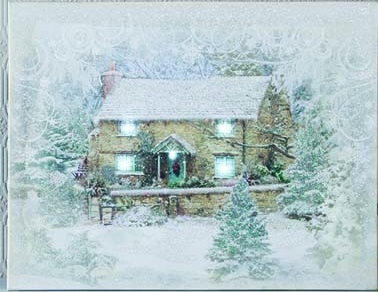 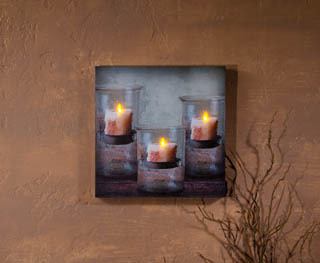 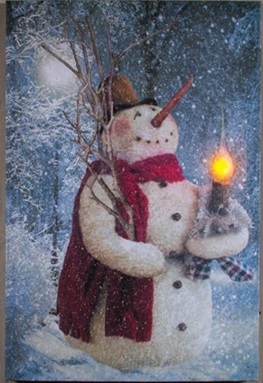 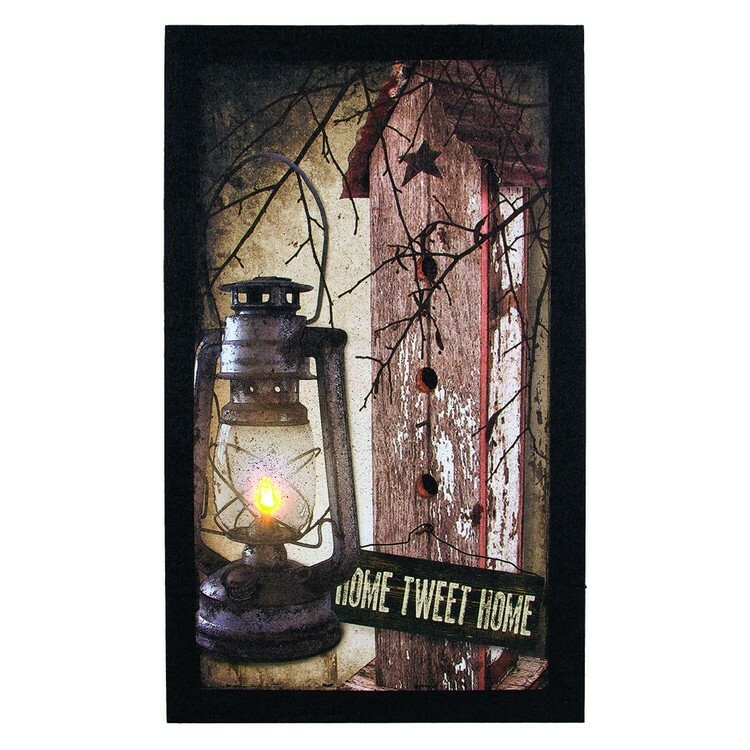 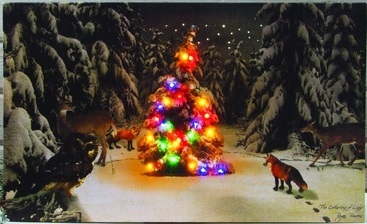 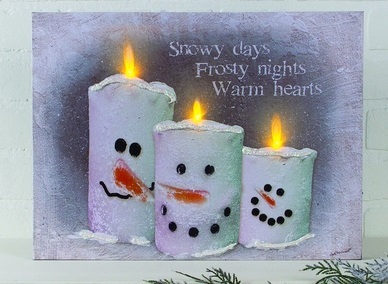 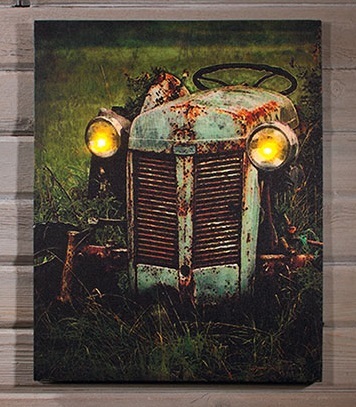 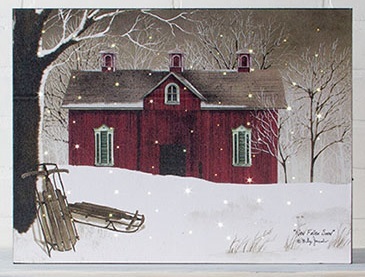 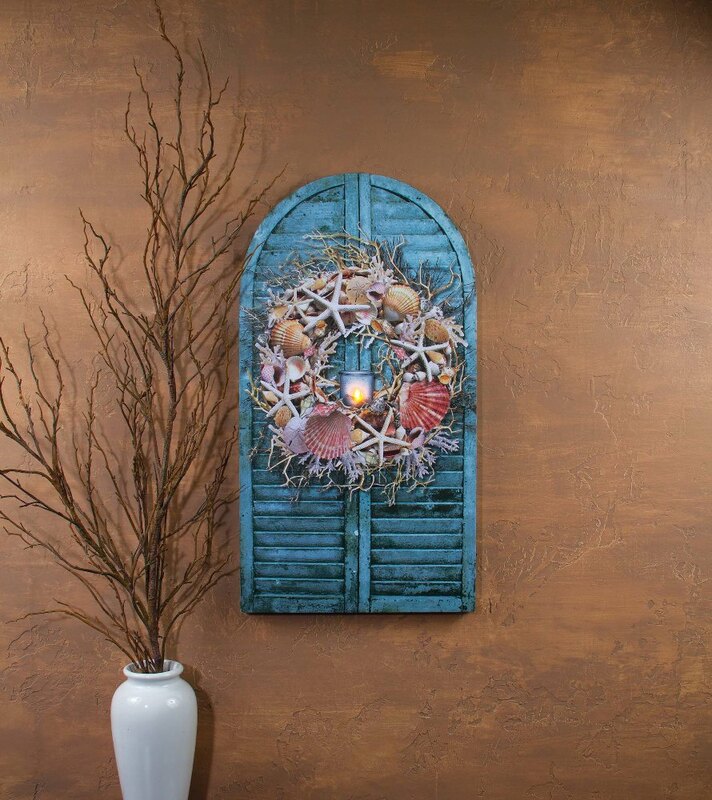 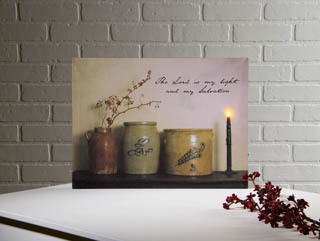 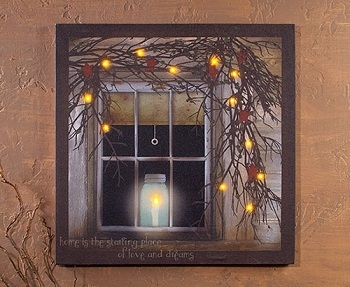 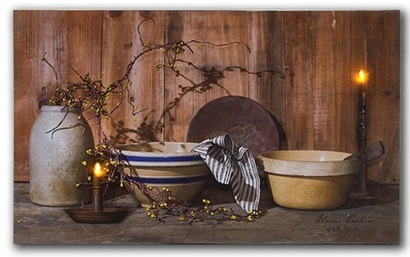 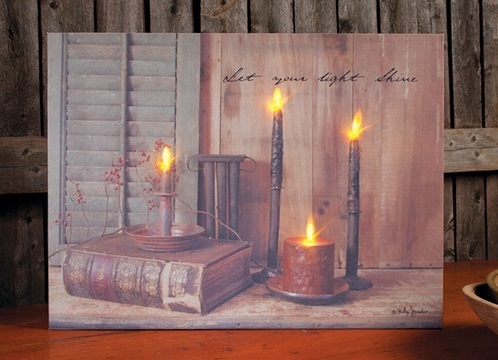 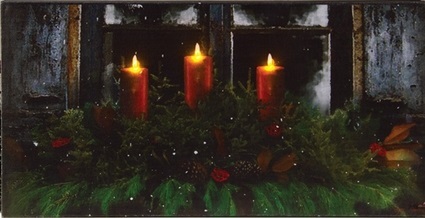 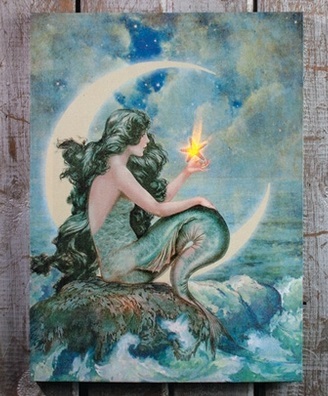 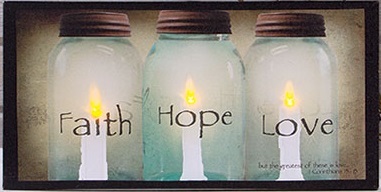 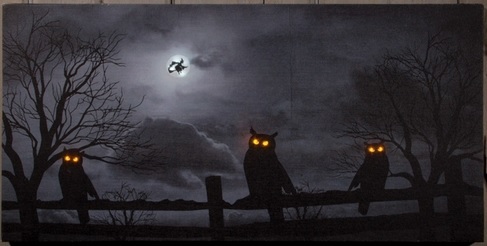 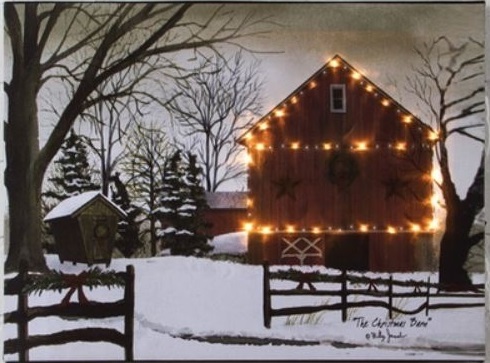 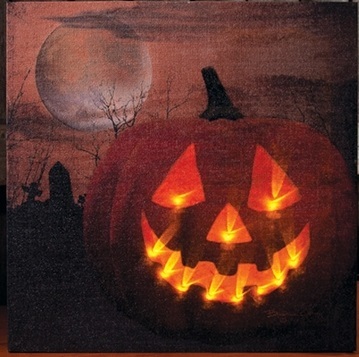 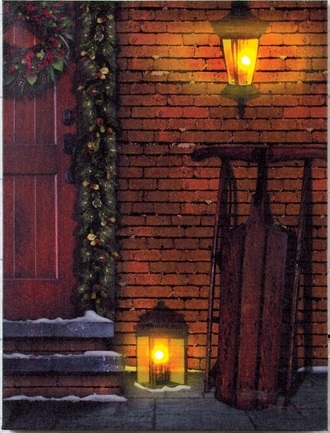 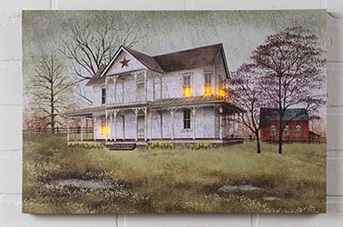 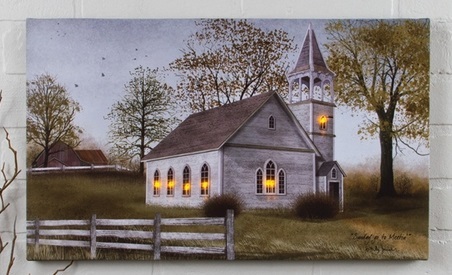 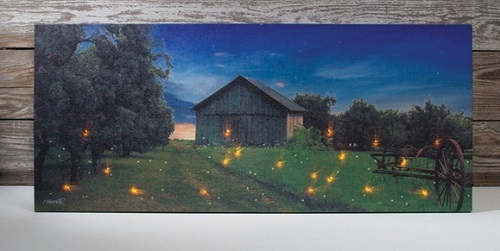 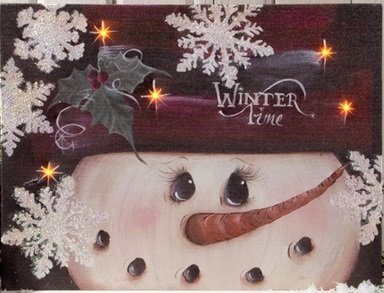 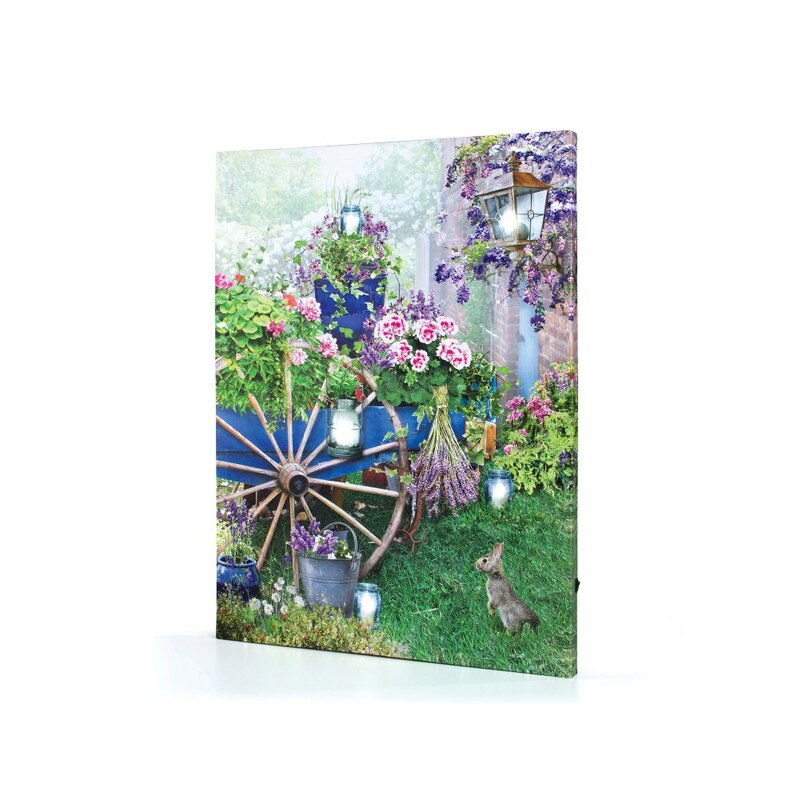 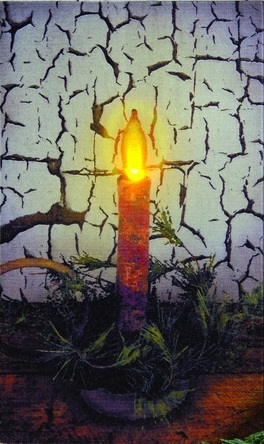 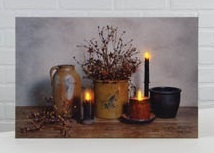 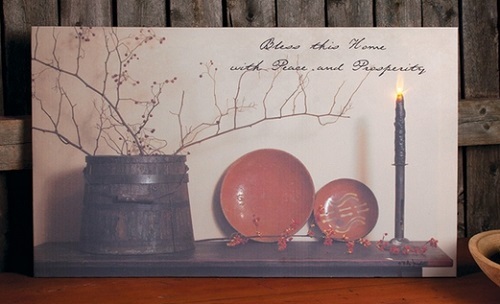 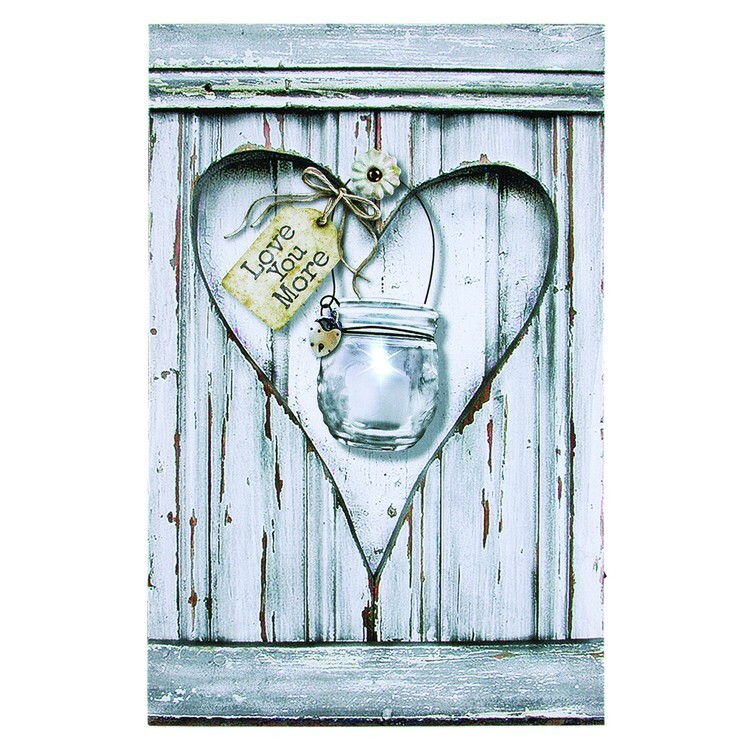 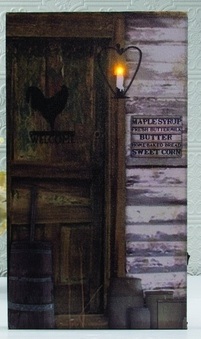 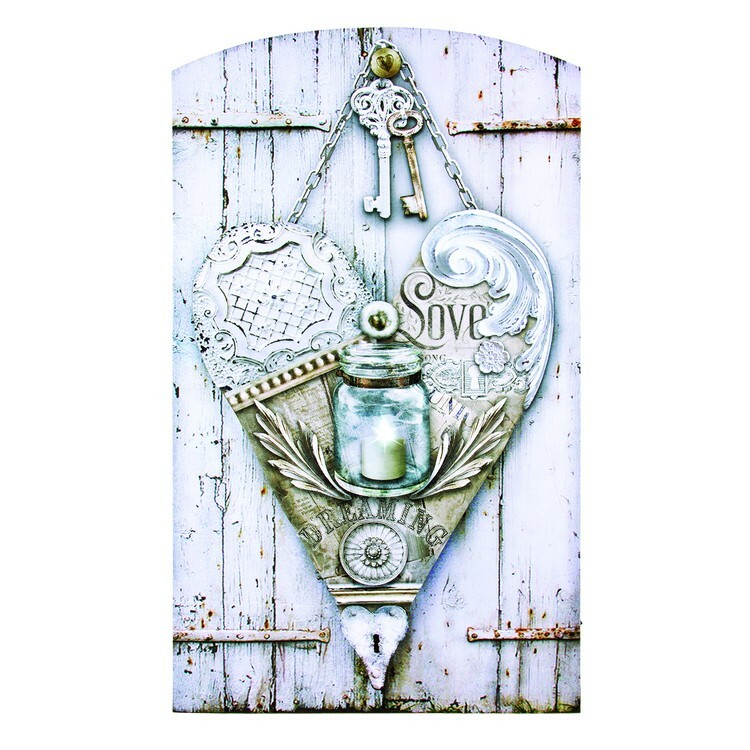 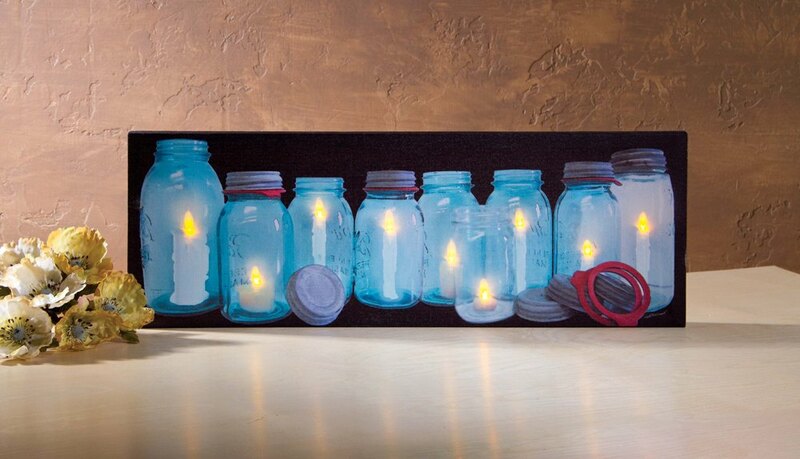 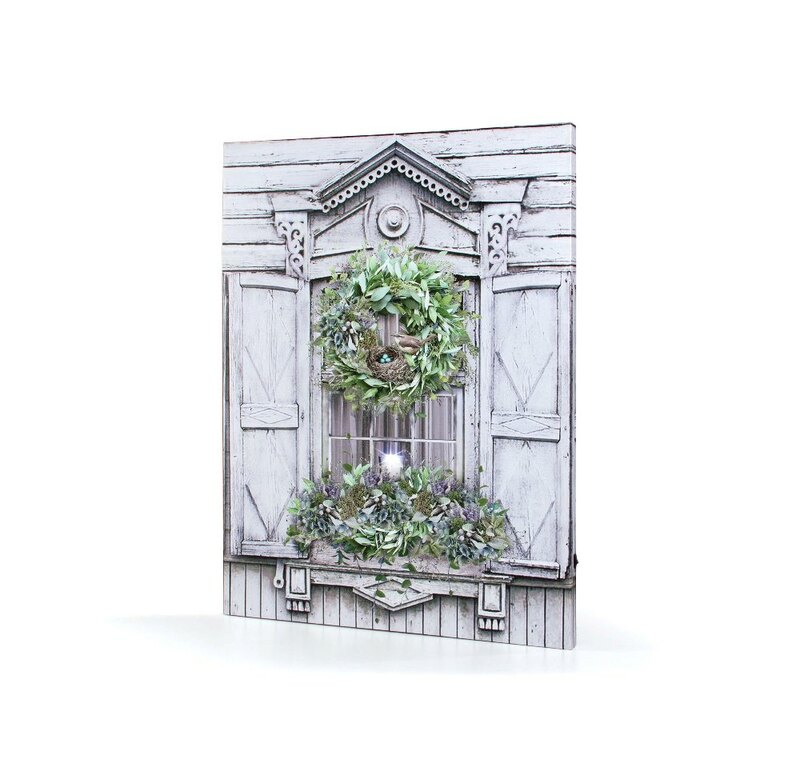 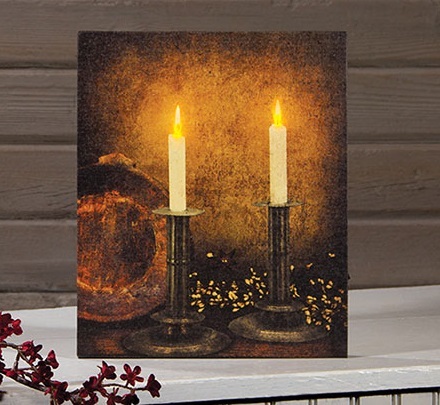 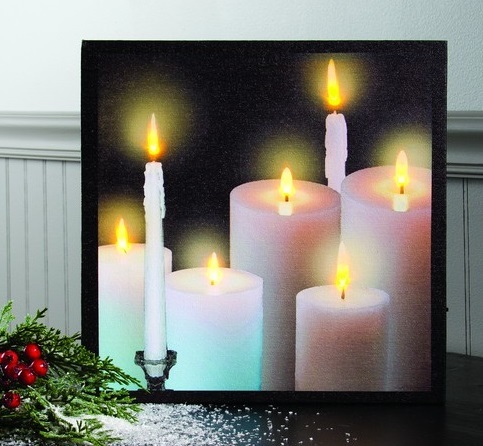 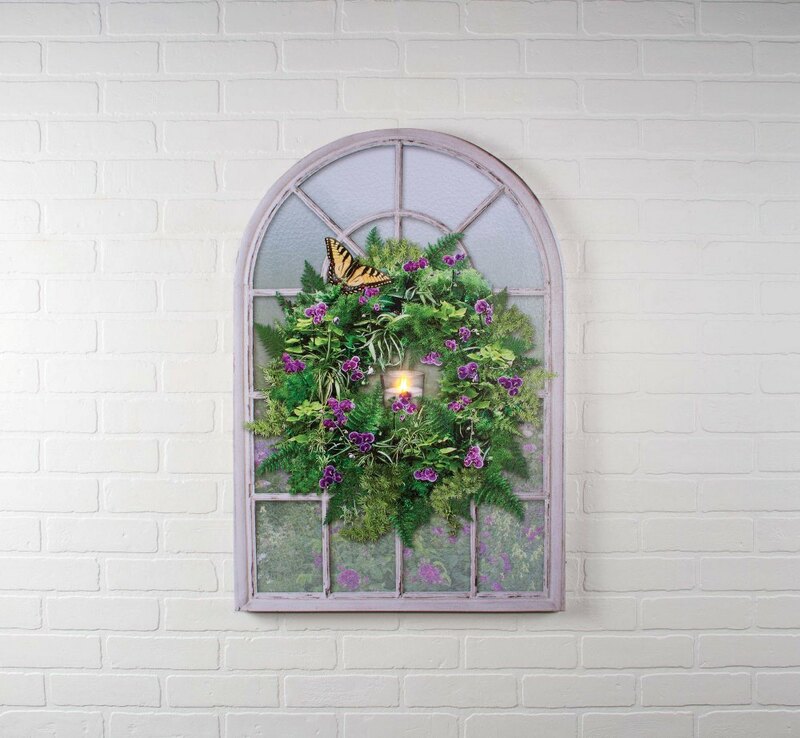 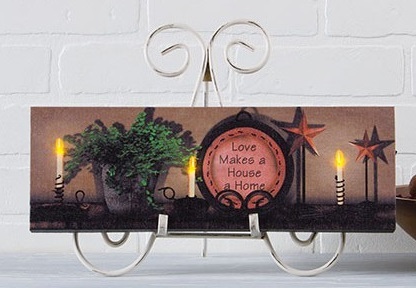 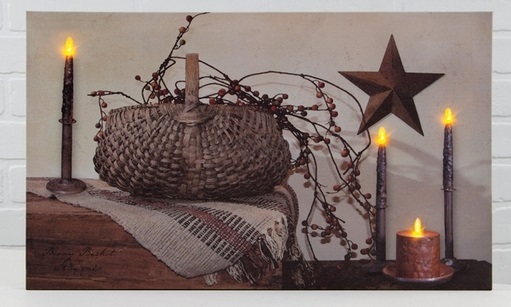 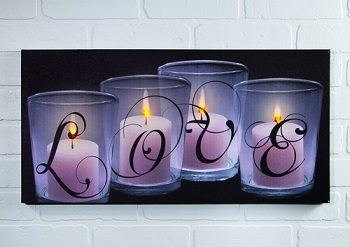 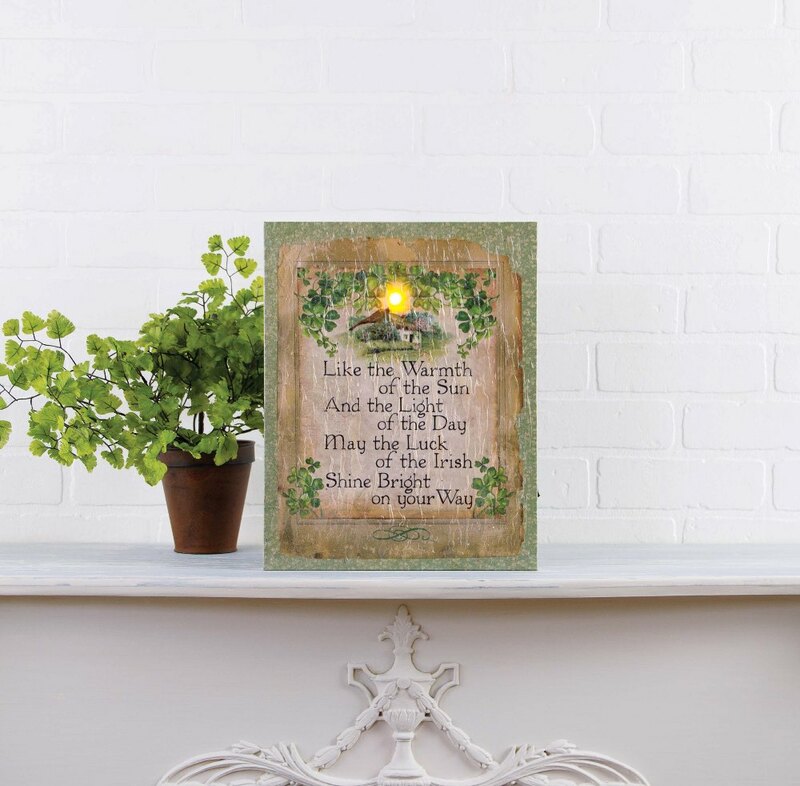 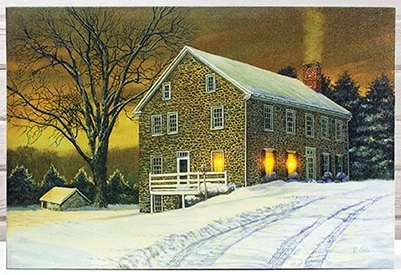 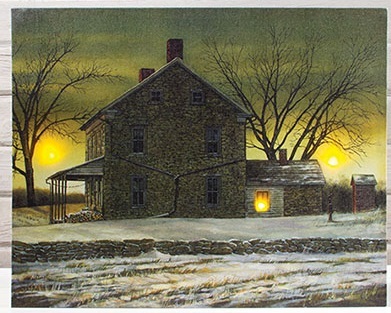 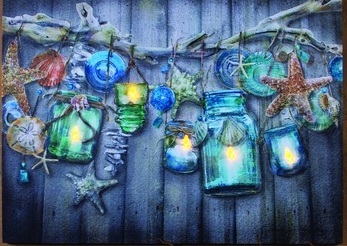 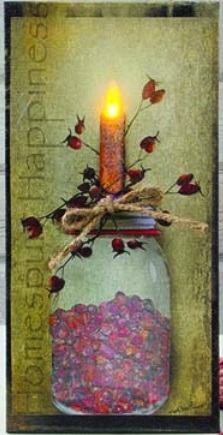 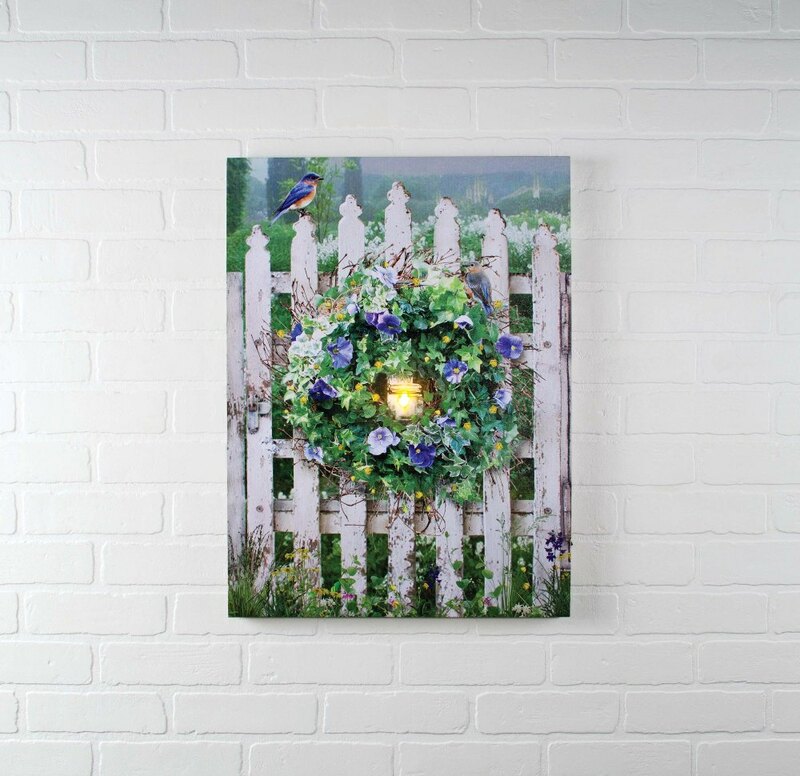 These light up pictures are great for decorating during any season! 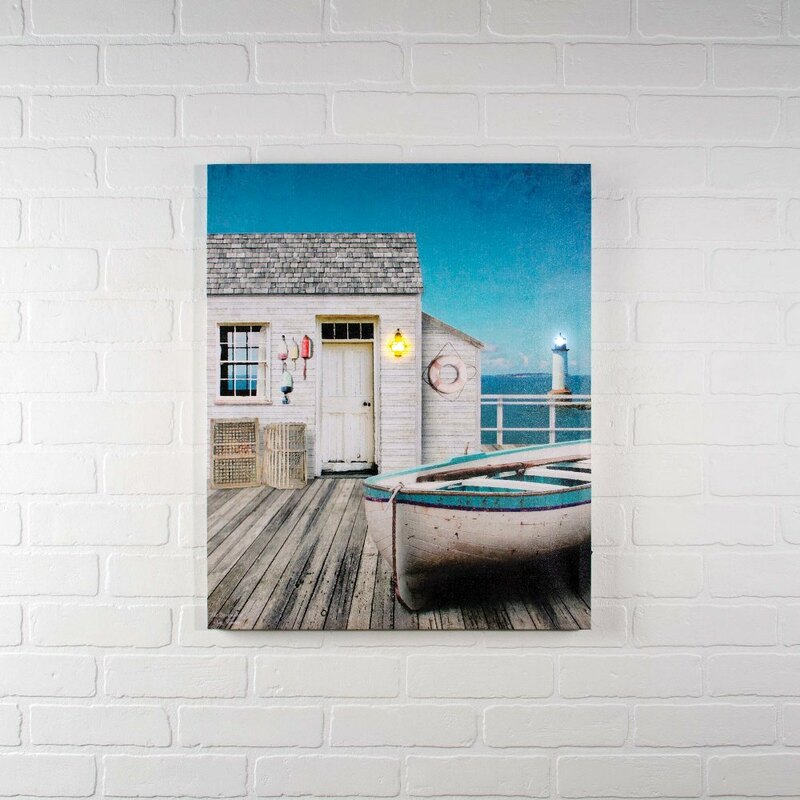 Browse our extensive selection below, and order your favorite battery-operated pictures that light up with our team today! 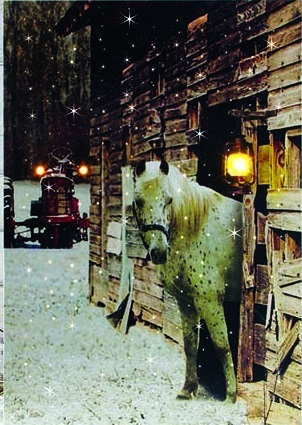 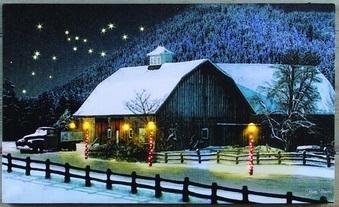 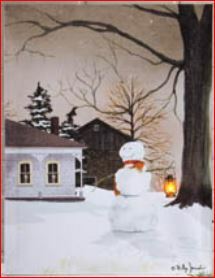 Lighted Canvas Pictures - "Horse"
Lighted Canvas Pictures - "Woodland Snowman"
Lighted Canvas Pictures - "Snow Capped Cabin"
Lighted Canvas Pictures - "Merry Christmas"
Lighted Canvas Pictures - "Winter's Night"
Lighted Canvas Pictures - "Christmas Door"
Lighted Canvas Pictures - "Christmas Barn" - Small 12" x 16"
Lighted Canvas Pictures - "Snow Candles"
Lighted Canvas Pictures - "Stairway"
Lighted Canvas Pictures - "Christmas Time"
Lighted Canvas Pictures - "Chester Mill"
Lighted Canvas Pictures - "Millers Farm"
Lighted Canvas Pictures - "Amber Moon"
Lighted Canvas Pictures - "New Day"
Lighted Canvas Pictures - "New Fallen Snow"
Lighted Canvas Pictures - "The C In Christmas"
Lighted Canvas Pictures - "Winter Time"
Lighted Canvas Pictures - "Pine Window Box"
Lighted Canvas Pictures - "True Love"
Lighted Canvas Pictures - "The Barn At Christmas"
Lighted Canvas Pictures - "The Gathering Of Light"
Lighted Canvas Pictures - "Christmas Wreath"
Lighted Canvas Pictures - "Snowglobe"
Lighted Canvas Pictures - "Red Shutter Window"
Lighted Canvas Pictures - "No Place Like Home"
Lighted Canvas Pictures - "Lavender Days"
Lighted Canvas Pictures - "Shine Bright"
Lighted Canvas Pictures - "Spring Bushel Basket"
Lighted Canvas Pictures - "Large Crockery"
Lighted Canvas Pictures - "Shuttered Window of White"
Lighted Canvas Pictures - "Architectural Mantle"
Lighted Canvas Pictures - "Garden in Spring"
Lighted Canvas Pictures - "Love Never Ends"
Lighted Canvas Pictures - "The Dock House"
Lighted Canvas Pictures - "Frosted Glass Window"
Lighted Canvas Pictures - "Irish Door"
Lighted Canvas Pictures - "Home Sweet Home"
Lighted Canvas Pictures - "Flower Cart"
Lighted Canvas Pictures - "Bluebird of Happiness"
Lighted Canvas Pictures - "Architectural Shutter"
Lighted Canvas Pictures - "Home Tweet Home"
Lighted Canvas Pictures - "Taking Treasures Home Truck"
Lighted Canvas Pictures - "Architectural Heart"
Lighted Canvas Pictures - "Garden Staircase"
Lighted Canvas Pictures - "Love You More"
Lighted Canvas Pictures - "Cupboard Door"
Lighted Canvas Pictures - "Garden Gate"
Lighted Canvas Pictures - "Vintage Bird"
Lighted Canvas Pictures - "Homespun Happiness"
Lighted Canvas Pictures - "R & R"
Lighted Canvas Pictures - "Love Sweet Love"
Lighted Canvas Pictures - "Greatest Of These"
Lighted Canvas Pictures - "Old Tractor"
Lighted Canvas Pictures - "Love Makes A Home"
Lighted Canvas Pictures - "Flag Barn Door"
Lighted Canvas Pictures - "Let Freedom Ring"
Lighted Canvas Pictures - "Pewter Candles"
Lighted Canvas Pictures - "Vintage School Bus"
Lighted Canvas Pictures - "Service Station"
Lighted Canvas Pictures - "April Showers"
Lighted Canvas Pictures - "Simple Blessings"
Lighted Canvas Pictures - "Home Is The Starting Place..."
Lighted Canvas Pictures - "Bike Ride"
Lighted Canvas Pictures - "Police Car"
Lighted Canvas Pictures - "Fire Truck"
Lighted Canvas Pictures - "Seashell Jar Candle"
Lighted Canvas Pictures - "Seaside Collection"
Lighted Canvas Pictures - "Seashell Shutter"
Lighted Canvas Pictures - "On The Farm"
Lighted Canvas Pictures - "Enjoy The Soak"
Lighted Canvas Pictures - "Rooster Mantel"
Lighted Canvas Pictures - "Sunday Meeting"
Lighted Canvas Pictures - "Buggy's Wating"
Lighted Canvas Pictures - "Home Cooking"
Lighted Canvas Pictures - "God And Country"
Lighted Canvas Pictures - "Berry Basket"
Lighted Canvas Pictures - "Row Of Canning Jars"
Lighted Canvas Pictures - "Love By Candle Light" - 12"
Lighted Canvas Pictures - "Love By Candle Light" - 24"
Lighted Canvas Pictures - "Lightning Bug"
Lighted Canvas Pictures - "Rosehips Lighted Candle"
Lighted Canvas Pictures - "Steam Engine"
Lighted Canvas Pictures - "Moon Mermaid"
Lighted Canvas Pictures - "Shine Your Light"
Lighted Canvas Pictures - "Birch Candle"
Lighted Canvas Pictures - "Tapers & Pillars"
Lighted Canvas Pictures - "Live, Laugh, Love"
Lighted Canvas Pictures - "Recycled Glass"
Lighted Canvas Pictures - "Crocks Bittersweet"
Lighted Canvas Pictures - "Almost Home"
Lighted Canvas Pictures - "Happy Life"
Lighted Canvas Pictures - "Peace & Prosperity"
Lighted Canvas Pictures - "Primitive Candle"
Lighted Canvas Pictures - "Owleen Night"
Lighted Canvas Pictures - "Jack O Lantern"